My family is very involved in scouts; Cub Scouts, Boy Scouts and Girl Scouts. We are constantly on the go and do not always have a power source. We camp a lot and I am always looking for a good way to charge my phone, camera ect. I am so happy to bring you a product my family is in LOVE with! Tego Power Grid is all that and a bag of chips. It is so easy to use, compact and portable. The Power Grid is light – less than 4.5 ounces. To charge the Power Grid up fully it takes about 3+ hours, but it was charged over half way by the first hour. It comes up to 80% charged right out of the box and ready to charge any compatible digital device such as an iPhone, iPod, Samsung Galaxy and more. What impressed my kids the most is that it looks like a large Lego block. 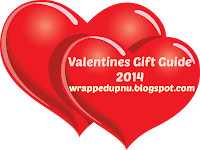 I am so impressed that I have added it to my Christmas and Valentines Gift Guide-You can not go wrong with this gift! Tego Power™ engineers on-the-go products that are both functional and fresh in design. Samsung Galaxy and more. Simply connect your device and the Power Grid automatically goes to work. two phones at once, and its fun design will add personality to your repertoire of techy goods.